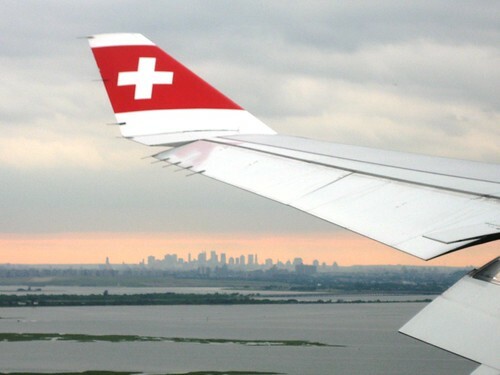 Swiss Airlines just started a blog about flying and their operations. The first post was Swiss International Air Lines: Minding the network (SFO 1) is about scheduling flights. It was quite fascinating. Another great source of information on flying is Patrick Smith’s Salon column “Ask the Pilot“. Patrick even answered one of my questions (about how flights are controlled over areas where there is no radar coverage, e.g. over the Atlantic Ocean). His explanations are clear and I really enjoy the fact that he says exactly what is on his mind (see some of his columns on security!). The second Swiss Blog was on preparations for starting service in San Francisco. Of course I asked if they were making any special arrangements for “cows who come to San Francisco with flowers in their horns” but no response yet! My newest music video on the perils of on line social networking. Hope you like it.